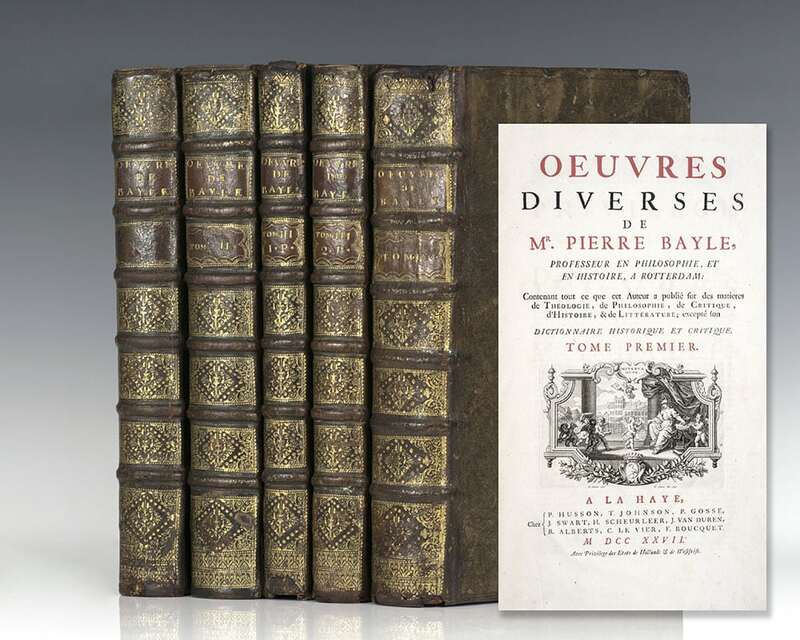 Oeuvres diverses de Mr. Pierre Bayle, contenant tout ce que cet Auteur a publié pendant sa vie, en Philosophie, en Critique, en Histoire, en Littérature etc. excepté son Dictionnaire historique et critique. Chez P. Husson, J. Swart, H. Scheurleer, J. Vand Duren, R. Alberts, C. Le Vier, 1727-1731. 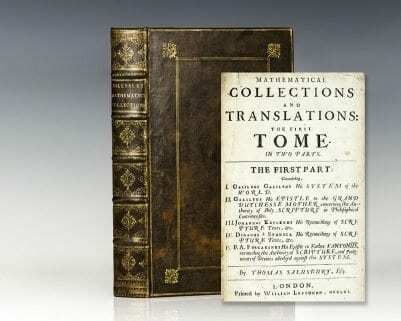 Rare 18th century set of French philosopher Pierre Bayle’s magnum opus, a historical and critical dictionary. 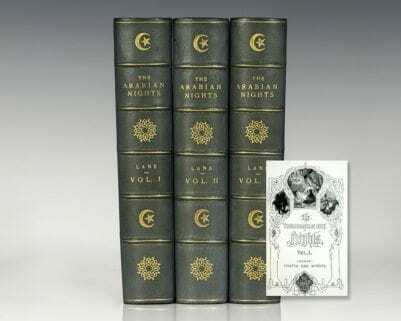 Folios, 5 volumes. 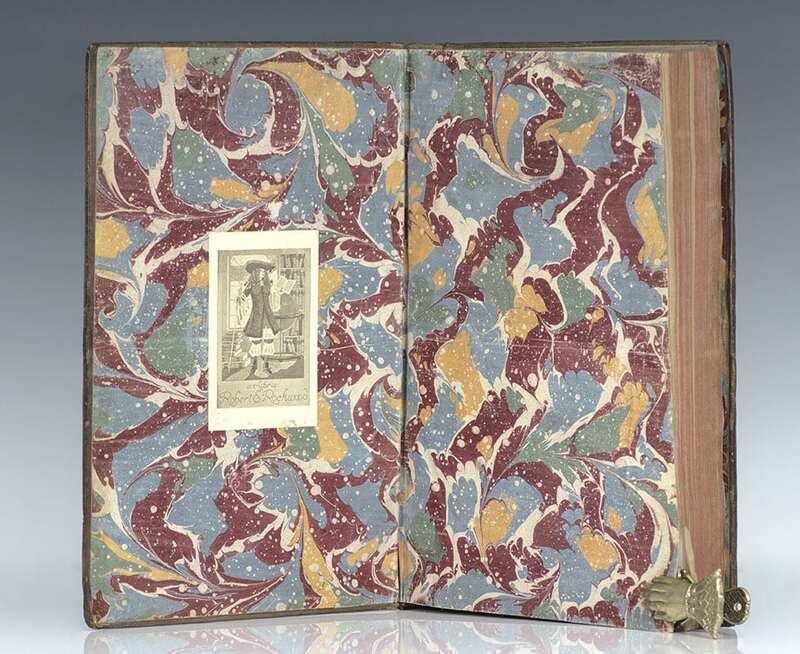 Bound in full contemporary calf, raised bands, marbled endpapers. In very good condition with some wear to the spine and joints. An attractive set. 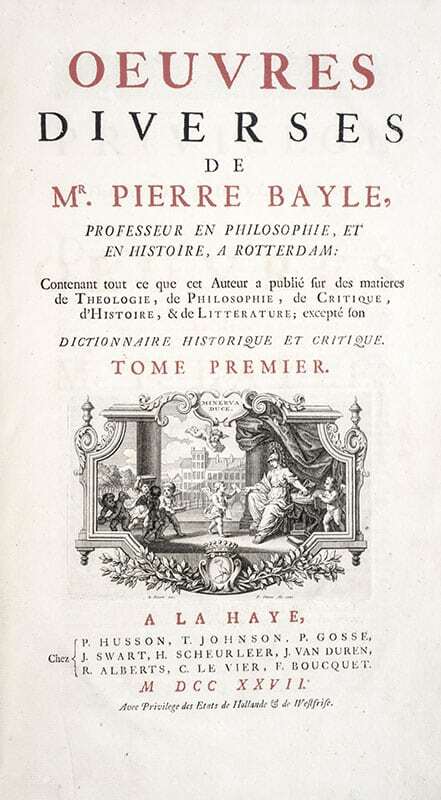 Pierre Bayle was a French philosopher and writer best known for his seminal work the Historical and Critical Dictionary, published beginning in 1697. Bayle was a Calvinist Protestant (French Huguenot). As a forerunner of the Encyclopedists and an advocate of the principle of the toleration of divergent beliefs, his works subsequently influenced the development of the Enlightenment. 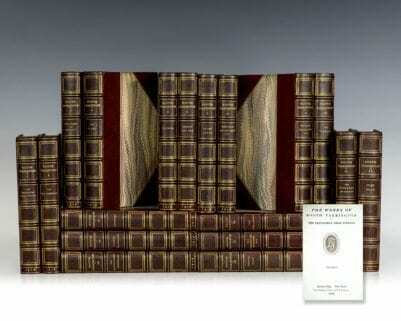 Folios, 4 volumes. Contemporary full vellum. In very good condition. An attractive set of the author’s magnum opus, a historical and critical dictionary.